Half the sky, most of the suffering…and seeking everyone’s attention! What’s one of the biggest reasons for suffering from violence? Is it War? Racism? Extremism? Or simply being born a woman? One in 3 women is a victim of violence. It was produced by the London-based advertising agency Leo Burnett for UNIFEM, the United Nations Development Fund for Women. With a striking series of images, it reveals that violence against women is one of the most common forms of violence in the world. This PSA is part of a new global campaign on this scourge. The campaign has elements on awareness raising as well as a call to action. The latter includes an online signature campaign that seeks to collect at least 100,000 signatures from those who oppose violence against women. The online ‘signature book’ opened for signatures on 26 November 2007 with an appeal from actress and UNIFEM Goodwill Ambassador Nicole Kidman. She called the violence many women worldwide face “an appalling human rights violation that can be stopped”, and asked everyone to add their names to a growing number of supporters saying “NO” to violence against women at http://www.saynotoviolence.org. I have just signed up, on this leap day 29 February 2008. Three months since the campaign was launched in New York, it has so far gathered a little over 58,500 signatures. It’s certainly commendable – but not nearly enough, and still more than 40,000 needed to reach the modest target of 100,000. Not that it’s just a numbers game, of course. The quality and sincerity of commitment matter a great deal. At the same time, UNIFEM and other UN agencies trying to engage the public through online interactive methods should study how successful activist groups do the same — with much better and faster results. Avaaz.org is a leader among these. It is a new global web movement with a simple democratic mission: to close the gap between the world we have, and the world most people everywhere want. Set up in early 2007, it has quickly evolved into online community through which hundreds of thousands of concerned people are taking action together on urgent issues like climate change, poverty, human rights and the crises in the Middle East and Burma. In October 2007, I joined Avaaz in its signature campaign to focus global attention on the political violence and gross abuse of human rights in Burma. In just four days, thousands of Avaaz members donated over $325,000 online to support the Burmese people’s efforts to peacefully promote political change and tell the world about their struggle. The Burmese junta may not care for millions of people protesting or donating online, but the leaders of the democratic world – pondering their response to the atrocities in Burma – would find it hard to ignore this surge of public concern. But it’s a long leap from Burma to the bed room or backyard. A major difficulty faced by those campaigning to focus on violence against women: they are countering actions that are widely distributed, pervasive and sustained over time. Much of it happens at personal and family level, necessarily beyond the public and media’s glare. Incidents flare up only occasionally to spill over to the public space to become news events or talking points. So, as in many similar instances, out of sight often means out of mind. The big challenge is how to raise public awareness on a wide-spread issue of violence that happens, to a large extent, in private. The facts and figures are compelling as they are alarming and depressing. The campaigners have lined up some of the biggest celebrities (like Nicole Kidman) and enlisted big guns like UN Secretary General Ban Ki-Moon. All necessary, but not sufficient. The campaign needs more than just star power or the UN’s clout to galvanize mass action. For a start, UN agencies need to get out of their fondness for coining and using endless acronyms. Even with my regular forays into the development community’s acronym jungle (read my post on the alphabet soup), I was recently puzzled when a film-maker colleague referred to GBV in an email without explaining it. It took me full five minutes to realise that she meant gender-based violence. 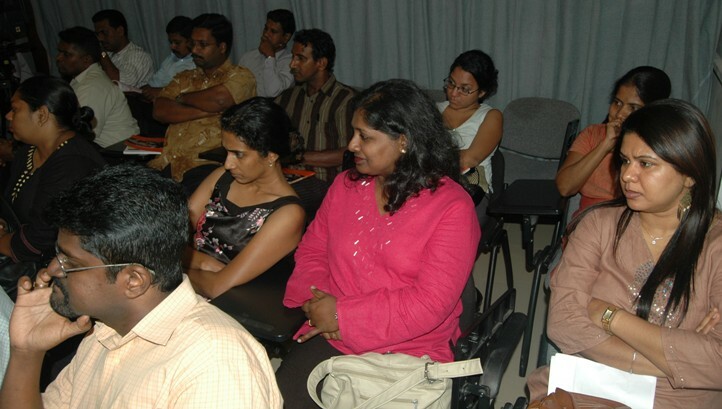 TVE Asia Pacific’s latest publication, Communicating Disasters: An Asia Pacific Resource Book, had its Sri Lankan launch on 19 February 2008. The multi-author book focusing on how information, education and communication can help create disaster resilient communities across the Asia Pacific was released at the auditorium of Sri Lanka Press Institute (SLPI) in Colombo. 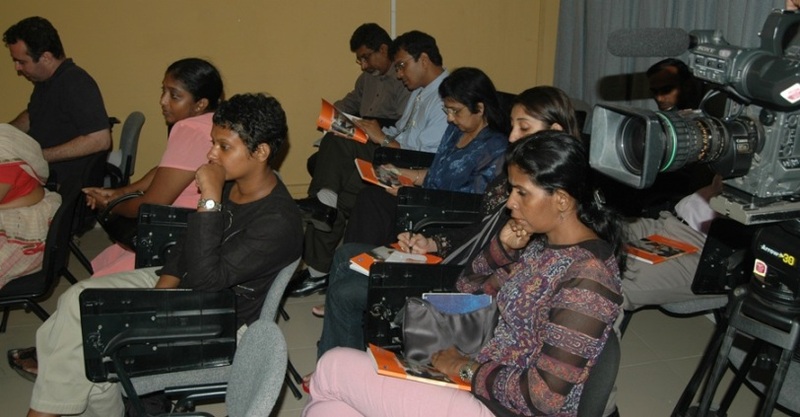 We had invited all contributing authors who are based in Sri Lanka. Six of our 21 contributors currently live in Greater Colombo, and four of them made it: Patrick Fuller, Buddhi Weerasinghe, Manori Wijesekera and myself. We missed Sanjana Hattotuwa (who is overseas) and Chanuka Wattegama. The news story on the launch event can be read on TVEAP website. Here are some additional photographs of the event, attended by close to 50 persons working in media, communication and humanitarian sectors. Contributing authors (L to R) Patrick Fuller, Nalaka Gunawardene, Buddhi Weerasinghe and Manori Wijesekera talk about their chapters in the book. Governments, disasters and communication: Lead, follow or get out of the way! 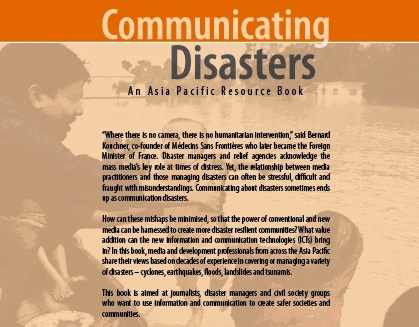 The Association for Progressive Communications (APC) has just published a good review of the book I recently co-edited titled Communicating Disasters: An Asia Pacific Resource Book. 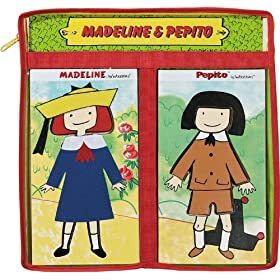 The review is written by two academics. Dr Malathi Subramanian is Former Principal, Daulat Ram College, University of Delhi, India, while Dr. Anupama Saxena is Head, Department of Political Science, Guru Ghasidas University, Bilaspur, Chhattisgarh, India. In preparation of this review, Malathi and Anupama did an email interview with me where they posed half a dozen questions on some key issues we have addressed in the book. Here is the full interview, which brings out my personal views interspersed with those of some other contributors to our multi-author book. Question: In developing countries the governments are considered to be the nodal agencies for disaster management. In this context do you think that there is a need to advocate the integration of the National disaster management policy with the national ICT Policy to exploit the potential of ICTs before, during and after a disaster? Yes, that certainly is the ideal, desirable scenario. But I’m not sure how soon this can become a reality, given how many of our governments think of these sectors as separate compartments – or ‘silos’ – with little or no integration. In the real world, however, these are all mixed up: people who use ICTs are affected by various disasters and the first responders – including relief workers and journalists – use various ICT tools in their work. Increasingly, we are seeing disaster affected people themselves using ICTs, especially mobile phones, to communicate with family, friends, aid officials and others from the scenes of disaster. We have documented specific instances of all this in our book and pointed out that the typical hapless, uninformed affected person is being replaced by a digitally empowered one. So the integration of disaster management and ICTs has been happening on the ground for some time, whether or not policy-makers acknowledge it! At policy and regulatory level, governments can play an enabling role by easing the various bottlenecks that currently hold back optimum use of ICTs in disaster preparedness, early warning or response. This is so lacking and badly needed in my own country Sri Lanka. One example: amateur radio enthusiasts played a key role in establishing emergency communication with some coastal areas badly hit by the 2004 tsunami. When everything was dead, short wave was alive. Yet, barely months later, the government blocked any new amateur radio equipment being brought into the country as someone felt it was a threat to national security! But in my view, misguided policies are worse than no policies at all. That’s when I feel like quoting Rabindranath Tagore’s words which every southern government should heed: ‘If you can lead, lead. If you cannot, follow. If you can do neither, then get out of the way’. Question: Participatory Modes of communications form a very important part of a comprehensive strategy aiming at creating disaster resilient communities. What type of policies and frameworks the national governments should adopt to facilitate this? Living with disasters – or developing resilience to disasters – is fast becoming a necessary strategy of day-to-day survival. Communication plays a role in this. In our book, we have an entire chapter on this written by Chin Saik Yoon, who has been researching and documenting participatory communication processes in development. He identifies communication as one of four necessary steps towards recovery from a disaster. Survivors need to maintain communication with family, friends, and counsellors in order to share their experiences. They need to tell their stories about the disaster, and listen to others as they tell theirs. This helps survivors to collectively release their stress. This makes eminent sense, but it is precisely this kind of thoughtful, sensitive approach that many governments are unable or unwilling to adopt. For too long, governments have been seen as the sole decider, provider and protector – and governments do have a responsibility in all these. But in today’s world, the role of government has to be reviewed and redefined. As Chin says, government officials may facilitate, but governments must get out of the historical habit and temptation of playing Big Mama (or worse, Big Brother!) by doing such communication themselves. For our quest for disaster resilience to succeed, we need a transformation in governmental policies, attitudes and practices. In a world experiencing a growing number and intensity of multiple hazards, no government – however powerful or well intended – can reach out and protect every citizen. That illusion was shattered forever by hurricane Katrina. There is no need for such governmental omnipresence either! The smart option is to allow, encourage and empower individuals and communities to do part of it on their own. Governments, researchers, aid agencies and charities still have to be part of this – but first they have to break free from the ‘Let’s-Do-It-All-Ourselves’ mentality. Question: It is evident from the many case studies in the book that participatory non-media modes of communications have been quite useful in dealing with disasters. Such efforts however, need constant involvement of a wider group of people on voluntary basis over a long period of time for creating resilience for disasters. How to develop this spirit and, more important, sustain it. Since no two communities are alike, it’s very hard to generalise on how to develop the necessary conditions and ‘spirit’, but some generic lessons can be drawn from documented examples. The right kind of community leadership helps, as does external help that is neither over-bearing nor fleeting. Assistance from aid agencies needs to be delivered at a pace the communities can absorb, integrate and use. Disasters are often the latest (and highly disruptive) layer over existing multiple layers in a community. Even if a shared plight and grief temporarily unite a community, that alone cannot hold people together for too long, especially if there are deep divides in that community. So community cohesion and unity become very important factors in the success of participatory communication. There is no single formula that can work for everyone. Question: The book describes many successful interventions based on non-media participatory mode of communications for disaster management. Which of these interventions do you think can be cited for the most optimal use of non media participatory mode of communications? These non-media communication methods range from basic inter-personal communication and small group discussions to participatory rural appraisal techniques. The methods are not new or unique; they are being customised to meet disaster preparedness and/or response needs. It’s more than mere talk. Some methods involve experiential learning – or learning by doing. An example is participatory hazard mapping. First, community members are divided into a few groups and asked to map their neighbourhoods – they have to capture the roads, footpaths, rivers, hillocks, houses, schools, temples and other key landmarks. Then they mark the areas that have been affected historically with different disasters such as tsunami, floods or cyclones. This helps identify relatively safer areas as well as safety routes in case a new disaster demands quick evacuation. Admittedly this is communication plus social mobilisation, but that’s what it takes in the real world – communication is only part of the solution. Question: To what extent is it really practicable to achieve the ‘disaster resilience’ in communities? Disasters are all about resilience – how we pick ourselves up after a tragedy and slowly return to normalcy. And also how we take repeated battering from a multitude of disasters and still carry on with living. There is no single recipe for success in building disaster resilient communities. Everyone needs to approach this with open and flexible minds, and see what works for whom under which conditions. Disaster resilience is not a slogan like halving poverty by 2015 or writing off majority world’s debt. It’s a long-drawn, incremental process and will always remain a work in progress because both community dynamics and the nature of hazards change over time. In many cases, the community has information and insights that help achieve resilience, but it needs to be brought out – that’s where participatory communication helps. But let’s not romanticise matters too much – some communities need external guidance, and most can benefit from external facilitation in their quest for resilience. In a chapter called ‘Bridging the Long Last Mile’, I have described the experience of a community-based disaster preparedness and early warning dissemination effort undertaken by Sarvodaya, LIRNEasia and other partners in Sri Lanka. The project studied which ICTs and community mobilisation methods could work effectively in disseminating information on hazards faced by selected coastal communities all of which were battered by the Indian Ocean tsunami of December 2004. •	Trusted technology: Use ICTs that are reliable in performance, accessible at the local levels and trusted by the people. •	Complementary redundancy: Always have at least two different ICTs delivering information, to minimise transmission failures. •	Credible information: Tap only the most authentic sources of information at national and international level, reducing room for misinformation and rumour. •	Right mix: Achieve the appropriate combination of technology, training and institutional arrangements at the grassroots. •	Be prepared: Raise localised awareness and provide experiential training so community know what to do when crisis occurs. Hollywood’s attempts to support progressive causes in movies continue with Rambo 4, starring Sylvester Stallone. In the fourth and latest installment of the violent adventures of John Rambo, the Vietnam veteran takes on the Burmese junta who have held the Southeast Asian country in its crushing, ruthless grip since 1962. “In his latest caper, a bored-looking Rambo ekes out a living catching cobras in the jungles of Mae Sot in Thailand, near the border with Burma. But the arrival of a group of Christian missionaries, whose idealism and naivete literally led them to a slaughterhouse, changes Rambo’s zombie-like existence and brings back the days of gore and bloodbath. “The film is unapologetic in its use of cliches. It’s the same tired story: Everything is black and white, good and evil, with lots of do-or-die moments thrown in for good measure. She says that while reports of the cruelty of the Burmese junta have been well-documented, the depiction of these stereotypes glosses over much more complex issues too deep to dig up in a 90-minute action movie. Exiled Burmese appear to have given it some positive feedback. According to a report by the Norway-based Democratic Voice of Burma (DVB), about 600 Burmese who watched the film in Singapore became very emotional, chanted slogans and distributed political leaflets at the screening. The crowd “clapped non-stop for 80 seconds to show respect to the movie audience gathered there and to show unity” in their fight for democracy, DVB reported. I’ll just take Lynette’s word for all this, because I’m not going to see this film – I can’t take a killing every few seconds. Caution: Extreme violence – but then, what else do you expect in Rambo? Rambo may have discovered Burma’s long-drawn suffering only recently, but activist film-makers have been using moving images for many years to sustain international attention on Burma’s human rights and humanitarian issues. 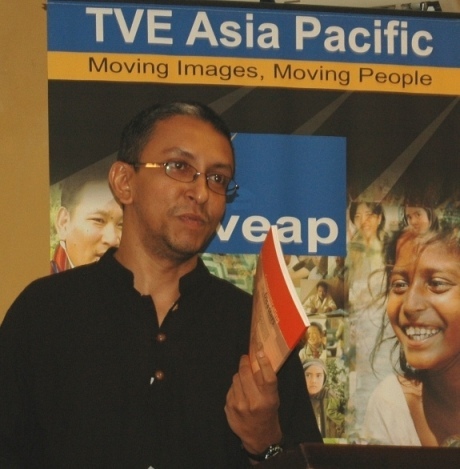 Almost five years ago, in May 2003, TVE Asia Pacific website ran a feature titled ‘Documentaries keep Burma issues alive‘. It was written by Indian film-maker and journalist Teena Amrit Gill, who at that time was based in Chiang Mai, Thailand — where many Burma activists are concentrated. “Long drawn internal conflicts are often overlooked or completely ignored by the global media that often chase the latest stories as they unfold. It often takes a few dedicated activists and committed film-makers to sustain focus on conflicts that no longer grab headlines – but continue to affect hundreds of thousands of people. “As Burma and the struggle of its people, especially its ethnic minorities, against four decades of military dictatorship begin to fade from international attention, a number of new television documentaries are attempting to keep the issue alive. Teena reviewed three new films that had been produced in 2001-2002 about the plight of minority groups like the Karen, Shan and Karenni who live along Burma’s borders with Thailand, China and Laos. These minorities are the target of repressive policies of the ruling military junta in Rangoon. Fighting for our right to ‘shoot’: A struggle in New York…and Colombo! Photojournalists usually bear witness to unfolding events, and then share it with the rest of us. It’s not everyday that they make the news themselves. This photojournalist, Gemunu Amarasinghe working for Associated Press in Sri Lanka, just did. Earlier this week, he was detained, questioned and released by police — all for taking photographs near a well-known Colombo school. According to news reports, Gemunu was apprehended by a group of parents who formed the school’s civil defence committee. They had handed him over to soldiers on duty near by, and he was briefly detained by the Narahenpita police. 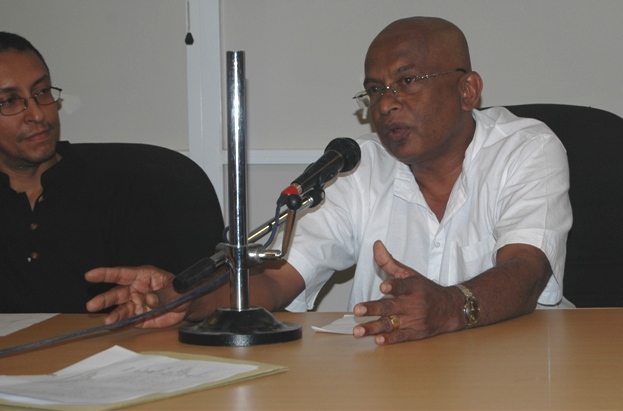 Sri Lanka’s Free Media Movement has already protested to the police chief on this – the latest in a series of worrying incidents. This might seem a minor incident in the context of highly dangerous conditions in which Sri Lankan journalists operate today. It was only a few days earlier that the World Association of Newspapers ranked Sri Lanka as the third deadliest place for journalists (6 killed in 2007), behind only Iraq and Somalia. In an op ed essay published today on the citizen journalism website Groundviews, I have discussed the far reaching implications of this latest trend – when misguided citizens turn on professional or citizen journalists simply taking photos in public places. That’s still not illegal in Sri Lanka, where many liberties have been curtailed in the name of anti-terrorism. As I write: “Gemunu’s experience is highly significant for two reasons. Firstly, it is depressing that some members of the public have resorted to challenging and apprehending journalists lawfully practising their profession which responds to the public’s right to know. Battered and traumatised by a quarter century of conflict, Sri Lankan society has become paranoid. Everything seems to be ‘high S’: practically every city corner a high security place; every unknown person deemed highly suspicious; and everybody, highly strung. I mention some examples of this cameraphobia. In recent months, pedestrians who filmed public bomb attacks on their mobile phones have been confronted by the police. One citizen who passed on such footage to an independent TV channel was later vilified as a ‘traitor’. Overly suspicious (or jealous?) neighbours called the police about a friend who was running his video editing business from home in suburban Colombo. None of these individuals had broken any known law. Yet each one had to protest their innocence. It may not be illegal, but it sure has become difficult and hazardous to use a camera in public in Sri Lanka today. Forget political demonstrations or bomb attacks that attract media attention. Covering even the most innocuous, mundane aspects of daily life can be misconstrued as a ‘security threat’. I stress the point that, unlike journalists working in the mainstream media, citizen journalists lack trade unions or pressure groups to safeguard their interests. 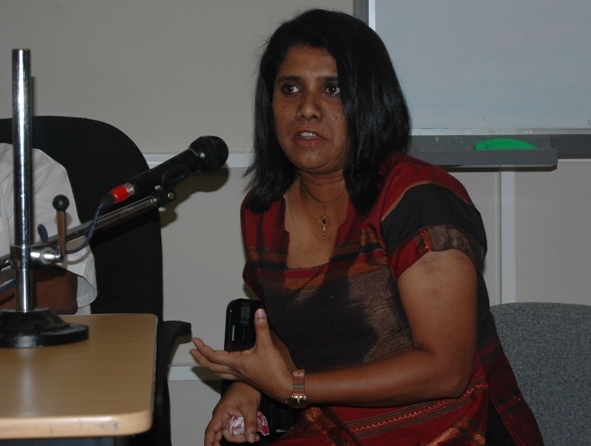 The citizen journalist in Sri Lanka is very much a loner — and very vulnerable. And it’s not just in war-torn Sri Lanka that the right to take photos or film video is under siege. I cite a recent example from what is supposed to be a more liberal democracy: in the US, where New York city officials last year proposed new regulations that could have forced tourists taking snapshots in Times Square and filmmakers capturing street scenes to obtain permits and $1 million in liability insurance. The plans were shelved only in the face of strong public protests, spearheaded by an Internet campaign that included an online petition signed by over 31,000 and a rap video that mocked the new rules. Photographers, film-makers and the New York Civil Liberties Union played a lead role in this campaign, which asked people to ‘picture New York without pictures of New York’. Why do Development Rip Van Winkles prefer ‘Aunties’ without eye-balls? That answer was perfectly adequate at the time, when the fully state-owned and government-controlled SLBC was the only domestic broadcaster. The FM radio band was eerily silent, and only die-hard enthusiasts would persist with shortwave crackle to listen to foreign broadcasts like BBC, Voice of America or Radio Veritas from thousands of kilometres away. We also had two state TV channels still learning the ropes. Today, that kind of answer would mean nothing. Two dozen FM radio channels crowd the airwaves. In the western province, there are 15 free-to-air terrestrial TV channels – and counting. Most of these are privately owned and commercially operated channels, all started after broadcasting was (partially) liberalised in 1992. They compete fiercely for a share of audience – and advertising revenue. While that can sometimes be a race to the bottom, it’s infinitely better than the bad old days when we had no choice but to tune into ruling party propaganda masquerading as public broadcasting. The situation is broadly the same in many other countries in the Asia Pacific region. With a few exceptions, the state-owned, government-controlled broadcasters have seen their monopolies end – and as their long-suffering audiences might confirm, not a moment too soon. They now have to compete with younger, more dynamic and decidedly more interesting private channels. And in every market, former monopolists have seen their audience share shrink, in some cases dramatically. The one-time lords of the airwaves have been reduced to minority players. Many are struggling to make ends meet, and some are kept alive only because governments keep pumping in large volumes of tax-payer funds. Meanwhile, the eye-balls and advertising revenues have migrated to the privately owned, commercially operated TV stations. They entertain, amuse and sometimes titillate. But they also inform and occasionally educate their audiences. And yes, many are making money too – and that’s neither illegal nor immoral in market economies. Alas, the former monopolists haven’t yet stopped crying foul. They allege that the commercial stations are playing by a different set of rules, allowing the latter to play the market and maximise returns. In contrast, the government channels claim to have a ‘public service mandate’ that’s harder to fulfill and not always popular or populist. Note that I have not used the term ‘public broadcaster’ to describe the government channels – because, whatever their founding documents might say, most of them are not serving the public interest. In developing Asia, which lacks sufficient checks and balances to ensure independence of state broadcasters, the only thing public about such channels is that they are often a drain on public money collected through taxes. Their service and loyalties are entirely to whichever political party, coalition or military dictator in government. When the divide between governments and the public interest is growing, most ‘public’ channels find themselves on the wrong side. No wonder, then, that discerning views have abandoned them. Interestingly, old habits and brand loyalty might explain why at least a minority audience still remains for state broadcasters. The state channels have been around for longer, and for years, they were the only show in town. Some of them occupy large swaths of the UHF and VHF spectrum, making their signals easier to catch. But these advantages would diminish over time. For one thing, young people far outnumber older persons in most parts of developing Asia (almost 62 per cent of the world’s youth – aged between 15 and 24 – are in Asia: that was 716 million in 2005). For another thing, the more dynamic private competition is finding new pathways to reach youthful audiences. State broadcasters may be venerable to some, but no one thinks of them as ‘cool’. 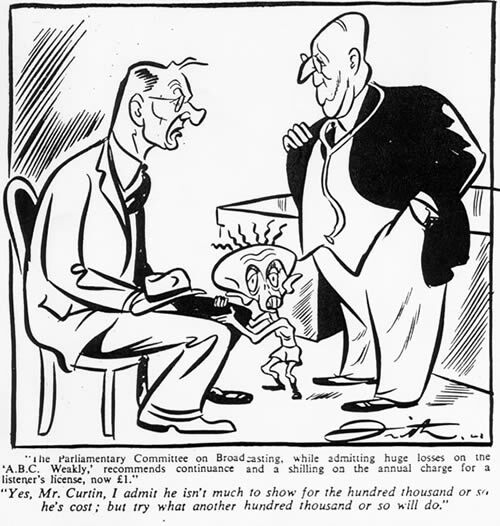 Even the BBC – which is far better shielded from governmental manipulation than its Asian counterparts – has yet to shed its old nickname and image of “Auntie”, originating from its old-fashioned “Auntie knows best” attitude. In Asia, now home to the world’s largest combined television audience, it’s more a case of grandma knows best. The other day, I asked a young Filipino film-maker and TV journalist about who watches her country’s National Broadcasting Network. “In my family, only grandma watches it,” she replied, adding that the only time others tune in to that channel is to watch lottery results. This is not an isolated insight. Across Asia, FM radio and commercial TV have captured the markets of the young and young-at-heart. Nobody grudges grandmas and grandpas being served by their favourite channels. But we have to ask how and why decades of public investments in broadcast infrastructure and institutions are not serving a wider spectrum of the population. Dishing out lottery results and pandering to Narcissistic politicians cannot quite pass as serving the public interest. Meanwhile, in a welcome trend, the market-leading commercial broadcasters are increasingly turning their massive outreach and influence to serve the public interest. It goes against the conventional wisdom of ivory tower researchers and media activists who cry themselves hoarse accusing commercial broadcasters of reaping profits without returning something to the community. But it’s real. In market after market, country after country all over the Asia Pacific, privately owned, commercially successful radio and TV channels are championing the public interest. They may not have a UNESCO-articulated grand agenda, but they see it as serving the needs and wants of their loyal audiences. The services are as diverse as the needs themselves. Some channels are dispensing practical information and advice on all sorts of everyday matters from traffic congestion and vaccination to school admissions and crime prevention. Others have gone further, for example launching national campaigns against narcotic drugs or corruption, and advocating better care for persons living with HIV. In covering these and other public interest or development issues, commercial channels bring in a healthy dose of creativity, dynamism and innovation. They don’t preach or pontificate. Instead they make it fun, hop and cool to do what we should be doing anyway in our self interest. A few commercial broadcasters go even further. On a visit to Manila last week, I heard how ABS-CBN – the country’s privately owned, market-leading broadcast group – is doing much for science popularisation and public education. These are done through charitable foundations that deliver public goods through private means. While all this is happening, the development community seems trapped in a time warp – clinging on to an outdated notion that state broadcasters alone can serve the public interest (if you ask me, they never did). Perhaps out of habit, they keep turning to such channels with their ever-shrinking audiences. A few weeks ago, a senior official at Sri Lanka’s largest development organisation Sarvodaya told me how hard it was for them to have their development films broadcast. The two state broadcasters had both demanded money for air time. Strangely, he had not even considered engaging a commercial broadcaster. “After all, we want to be seen our national channels,” he explained. This Rip Van Winkle attitude doesn’t help anyone, and least of all those communities that development agencies are trying to reach through media-based communication. Thus, if the development community is serious about engaging the broadcast media, they must first awake from their long slumber and quickly update themselves on current realities in Asian broadcasting. It’s not who owns that decides the public spirited character of a radio or TV station. In today’s complex and nuanced media landscape, it’s the performance and delivery that count. Aunties without eyeballs can trudge along on government’s crutches. The rest of us have miles to go before we can rest.